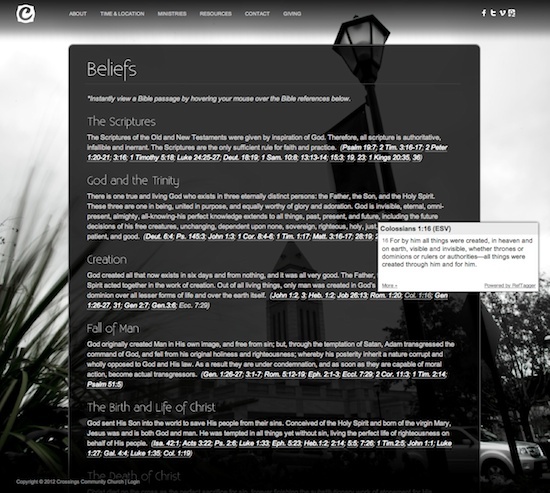 The site for Crossings Community Church featured the Supersized jQuery Plugin as bundled in the Atlas theme by peerapong. It was chosen together with the owner. 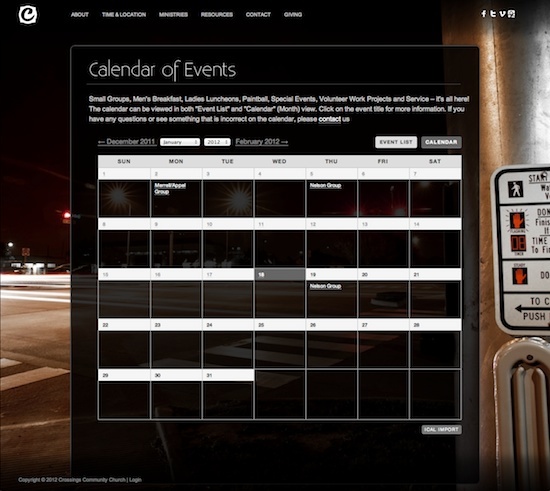 Social icons were added to the top right of the design, Events Calendar Pro was chosen for event and calendar management, a PayPal giving form was customized for a traditional giving schedule, and RefTagger was integrated for an easy viewing of a Bible passage by hovering the mouse over Bible references throughout the site. 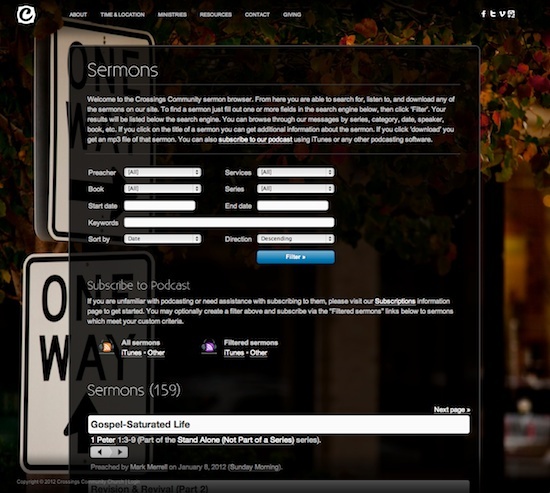 Tops on the list, perhaps, was the Sermon Browser plugin for WordPress. 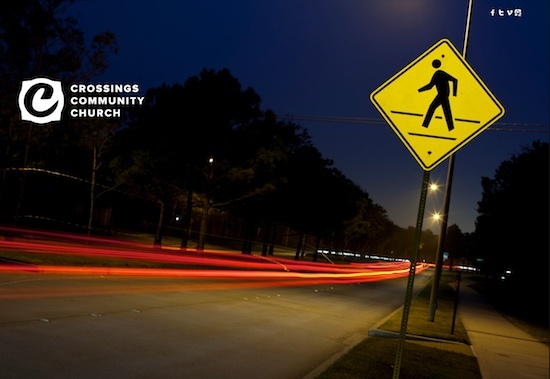 What a helpful, and handy, way to update both a site and podcast from one place. Well done, Mark Barnes! 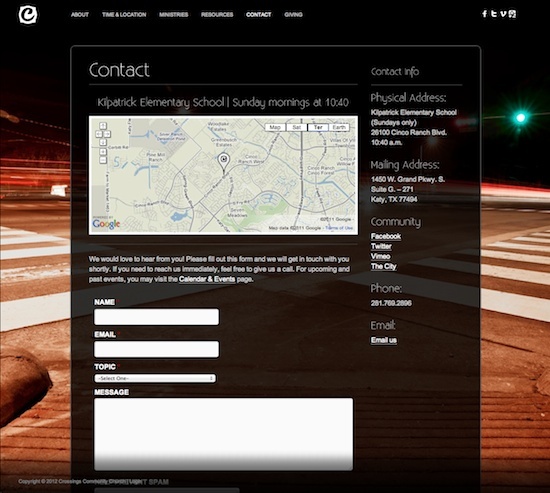 This project was completed January 2012. 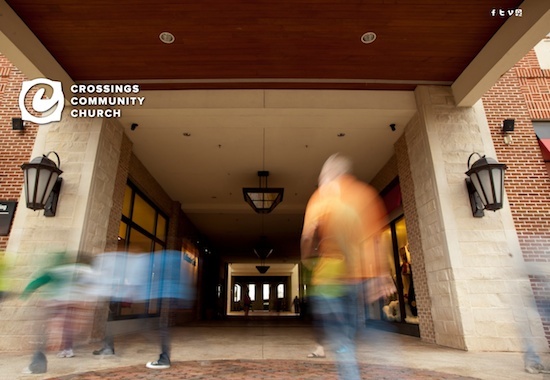 Crossings Community Church of Katy, TX is a growing church with extended family who were early members. 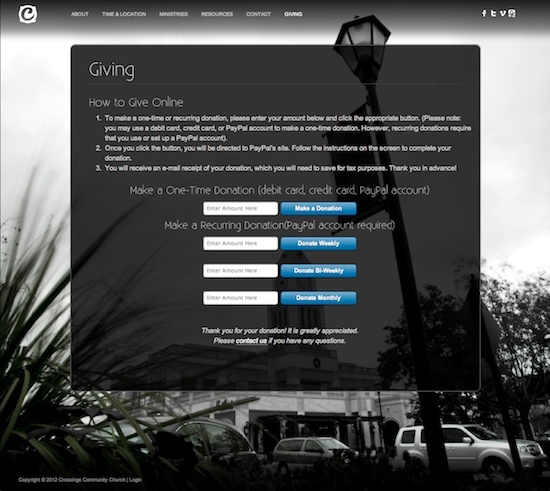 It was a pleasure to give/bring them something new in both design and usability.